Nassau is the capital and largest city of Bahamas. A popular tourist destination, Nassau is a favorite cruise port and offers visitors a stunning mix of architecture, white sand beaches and entertaining nightlife. The downtown area of the city is the hub for all tourist attractions, walking tours and gift purchasing; visitors will find no end to the scenic wonders of this historical but ultra-modern metropolis. Cruise ships arriving in Nassau generally dock at the Prince George Wharf, directly in front of the downtown area. 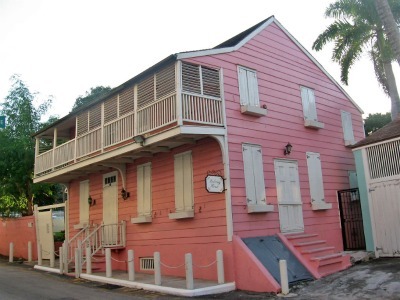 Nearby Rawson Square and the Bahamas Ministry of Tourism are excellent starting points for walking tours and getting acclimated to the bustling activity in the city. A great number of shops in this district have brochures and street maps available for visitors, printed in English and in other languages. Festival Place is the exit point at the port for those arriving by ship and here visitors will find internet cafes, call booths, currency exchange centers and a number of local tour companies offering day trip packages. The Bay Street thoroughfare and Woodes Rogers Walk are the two busiest streets near the waterfront, and tourists can take in the Pirates of Nassau Museum or visit the historical Vendue House and Christ Church Cathedral. The famous Straw Market is a magnetic draw for tourists; the original facility was burned to the ground in 2001 and a new construction site is underway, but the activities continue at present on the waterfront side of Woodes Rogers Walk. At the Straw Market everything a visitor could hope to purchase as memorabilia can be found. The Ardastra Gardens are famous for their drill formation flamingo parades, and the 18th century Balcony House, the oldest wooden structure in Nassau, is the perfect place for panoramic views and photo opportunities. Blue Lagoon Island has dolphin shows and stunning beaches. Fort Charlotte is an amazing tour that includes a visit to the old dungeons and breathtaking views of the harbor. Nassau has a truly international flair when it comes to either casual or fine dining. Near the waterfront one can find a huge number of open air restaurants as well as smaller outdoor establishments that serve up snacks and cocktails. Barbeque beef, pork and chicken are local favorites, but a number of restaurants specialize in European continental cuisine. At night there is no shortage of watering holes; these taverns and nightclubs are open very late in Nassau. Nassau has what are called Jitney buses, which run on a regular schedule between Paradise Island, Cable Beach and the downtown area. Taxis can be hailed at any street corner, and a number of rental car agencies operate in the city; visitors should remember that driving in the Bahamas is on the left side of the road. Most of the major tourist attractions in the city itself are within walking distance of the cruise docks. The official currency in Nassau is the Bahamian dollar, which is valued as much as the US dollar. Visitors can make change on board ship or at a number of locations in the port area. You can, however, use both US and Bahamian dollars for your shopping. Unless a cell phone is used, calling internationally from a public telephone requires the purchase of a local BATELCO card. 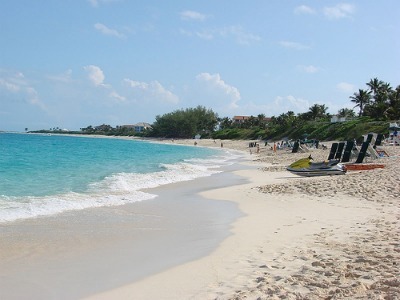 Although English is the most common language spoken in the Bahamas, many of the locals speak some French and/or Spanish. Should you need to use the Internet, there are a number of cyber cafes in downtown area that you can utilize. Cruise ships docked in Nassau port. 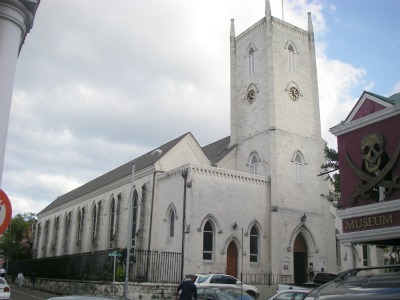 Here is the Christ Church Cathedral - one of the historical places in Nassau. 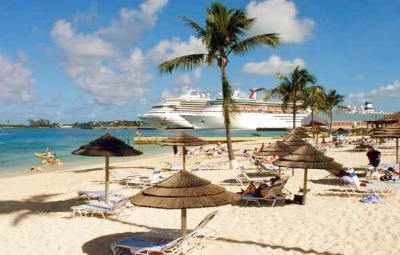 The beautiful white sand beaches, one of the most popular places for cruise travelers. This is the Balcony House from the 18th century. Perhaps the most popular place to take a picture in Nassau.